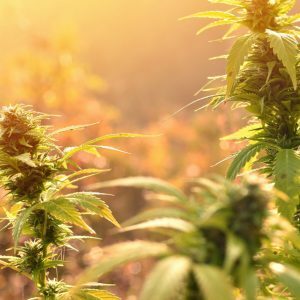 When you see outdoor cannabis trees towering head and shoulders over growers, with a couple of giant plants producing more bud than a typical home grow will ever produce, you likely want to rush outdoors and get to growing under the sun. But beware: Outside, there are many marijuana attackers, eager to devour and destroy your precious plants. 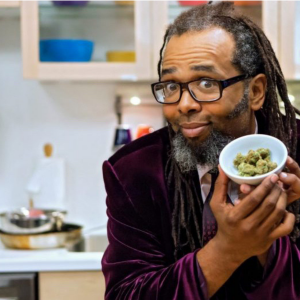 Here’s a list of pot pests and how you can ethically and safely deter them from your ganja garden in a humane manner that doesn’t upset your shared ecosystem. Our two-legged species is the No. 1 enemy of your outdoor cannabis crop. Hikers, bikers, hunters, nosy neighbors, fishermen, drone operators, aircraft pilots, loggers, miners, surveyors, off-roaders, utility and railroad maintenance crews, and savvy law enforcement have discovered and consequently destroyed many a robust outdoor grow op. They often report outdoor cannabis gardens to police. Then, the cops or Drug Enforcement Administration will likely perform covert on-site and electronic surveillance of the grow op, before busting the growers when they show up for maintenance or harvesting. If interlopers don’t report the pot garden to the authorities, it might be because they intend to come back at harvest time and steal the buds for themselves. If you happen to be there when they come back, things can turn ugly fast. The likes of deer, gophers, rabbits, moles and mice have been known to munch on marijuana leaves or roots. They especially like tender young plants. Rodents, moles and gophers tunnel belowground, consuming or disturbing roots and weakening plant stability. 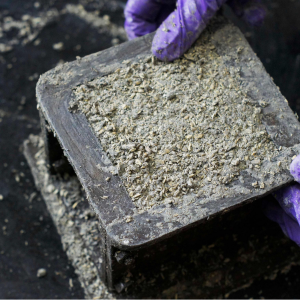 The foundation of outdoor cannabis security must be laid before you plant cannabis outdoors. First, conduct several recon missions to potential outdoor grow sites, concealing yourself, watching to see if anybody comes along or if anybody has been there recently. Time some of your recon to coincide with hunting and fishing seasons, when a sudden influx of people can show up in remote rural areas where outdoor grow ops are often situated. During recon, keep an eye out for tire tracks, beer bottles, well-trodden paths, cigarette butts, shell casings, trash, and general human detritus. My policy is that I never plant cannabis outdoors where I’ve seen fresh evidence of people. Always put your cannabis garden in as isolated, untraveled, hidden place only you can find. My best outdoor location was inside a large thicket of thorny shrubs. Wearing protective clothing and headgear, I hacked a tunnel through the underbrush and found a clearing that received full sun and was surrounded on all sides by a thorny thicket. Whenever I exited this garden, I’d cover the tunnel entrance with fallen branches. Nobody ever knew there was a tunnel there, let alone a hidden cannabis garden tucked away inside the thorn grove. Always remember to cover your tracks when you establish and tend to an outdoor cannabis grow op. Don’t leave footpaths, tire tracks or trash anywhere near the plantation. Don’t park near the site. Don’t make noise while in the garden or on your way to it. I don’t advocate for any confrontational tactic to stop people once they’ve discovered your grow op, even if they arrive when you’re there. While booby trapping and violence are among the tactics used in outdoor grow situations gone wrong, these should be avoided at all costs. Before I ever planted marijuana outdoors, I vowed to myself to accept fate, even if my crop was ripped off, rather than get involved in a battle. 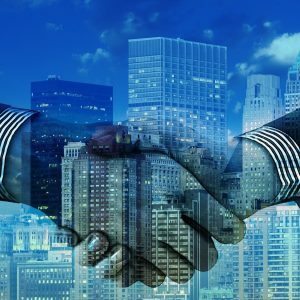 If someone enters your site unannounced or unexpected, it’s best to simply cut your losses and make a run for it. After all, it’s better to lose your crop than risk injury or mayhem. Deer are athletic creatures. If they want to get into your garden, they can leap an eight-foot fence. Rodents and small mammals can chew and crawl through, over, even under a fence. And yet, is it ethical to invade other animals’ homes and habitats and kill them? Let’s take a moment to consider that our outdoor cannabis site is the only home for many native animal species. 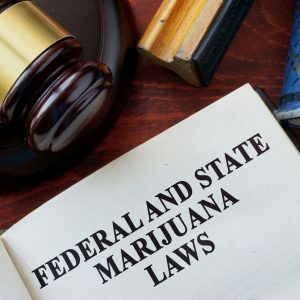 Marijuana growers who harm animals and their habitats with poison, traps, firearms, electrified fences, or by removing trees and vegetation are ultimately disrupting and causing harm to the environment. 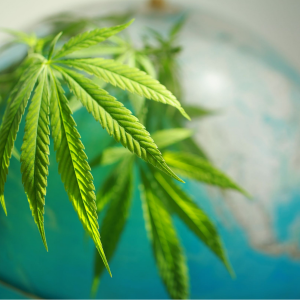 Indeed, the environmental damage caused by careless outdoor growers has been widely publicized, and encourages people to support marijuana prohibition. I encourage outdoor growers to accept some degree of crop loss is the cost of growing outdoors. Instead of going to war against animals that live where you have your garden, deter mammal pests ethically by using harm-free animal repellents from Havahart and motion-triggered animal alarms from Volador. If you want to go old school, use a scarecrow. Indoor growers are familiar with some of the insect pests that plague outdoor grow ops. These include thrips, spider mites, broad mites, scale (also known as mealybugs), aphids, fungus gnats and whiteflies. 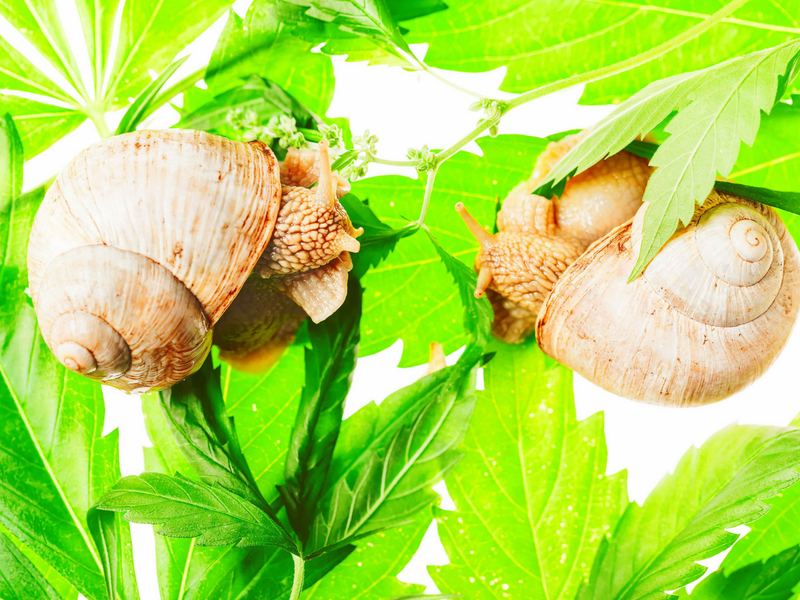 Outdoor cannabis pests — such as caterpillars, slugs and snails, budworms, and leaf miners — are rarely found in indoor gardens. Prevention is always the best way to fight insects and snails and slugs, but outdoor growers can’t prevent these pests from finding their plants. The attackers come by air and land; some attack species are ubiquitous in outdoor environments. Anti-pest interventions that work well for indoor marijuana growers can be wholly or partially ineffective in outdoor grow ops. I’m referring to foliar spraying of deterrent materials including horticultural soaps, neem, cinnamon and natural insecticides. Outdoors, foliar-spray insect-defeating effects are often degraded by rain, sunlight and wind. Plus, you don’t want to spray on your crops when they’re in peak or late bloom phases. Even if it rains, contaminants can stay on and in the buds, making them unsafe or unfit for human consumption. Foliar spraying is useful as a mechanical control when you use a powered backpack sprayer that blasts pests off your plants. One major benefit of foliar spraying is you can leaf feed potassium silicate (Rhino Skin) mixed with SNS-209, an insect-deterring rosemary extract. The potassium silicate armors plant cell walls, while the SNS-209 infuses plants with rosemary extract that insects dislike. Spray early in the morning or at twilight on a non-rain day when sun isn’t yet reaching your crop’s leaves. You can also use Rhino Skin and SNS-209 as a systemic root feed. Time your foliar spraying so you have several days without rain afterward. This gives leaves time to absorb sprayed materials internally instead of being washed off by rain. When you’ve sprayed horticultural soap or natural, safe insecticide alternatives, dry weather gives those materials time to be absorbed by pests. Use sulfur as a foliar spray to deters mites and also fight powdery mildew. For slugs and snails, the most effective method I’ve used is to put cheap ale in shallow dishes on the ground among your cannabis. As with humans, alcohol is toxic to snails and slugs, but they’re attracted to it nonetheless. Call it a fatal attraction. 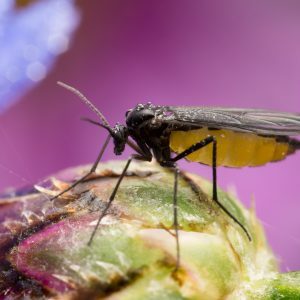 For fungus gnats, which are rarely a problem for outdoor growers — unless the plants have an unusually wet upper root zone loaded with gooey, stinky organic fertilizers — the best blocker is Gnatrol applied by spray or by root feeding to the upper root zone. 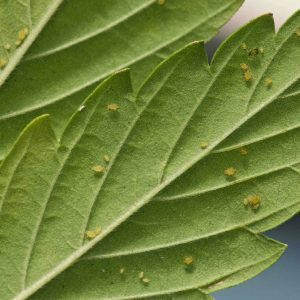 Sad to say, most of us are familiar with the two main microbial attackers that plague outdoor marijuana plants: gray mold and powdery mildew. 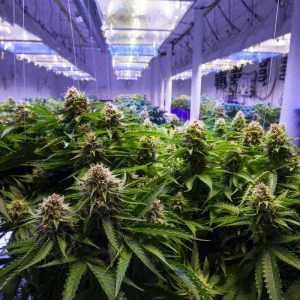 Indoor growers can control grow-room temperature, humidity and air intake channels to filter out mold and fungi, and to make conditions inhospitable for these attackers. 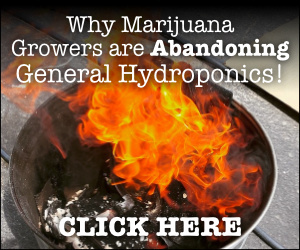 Unfortunately, outdoor growers don’t have that same level of control. If gray mold or powdery mildew attacks outdoor plants, the best option is to quickly remove affected plant parts, take them far from the garden and burn them. Plant strains resistant to these microbial attackers. Plant autoflowering or early-finishing photoperiod strains that can be harvested ahead of cooler, wetter weather that favors microbial attackers, who tend to arrive in late summer and early autumn. In an outdoor garden with access to electricity, use industrial-size fans to blow a constant, strong stream of air onto your crop. Avoid growing strains known to have thick buds that are large in diameter, because dense buds are susceptible to gray mold. Ensure at least seven hours per day of direct sun hits your plants. The more sun, the better. 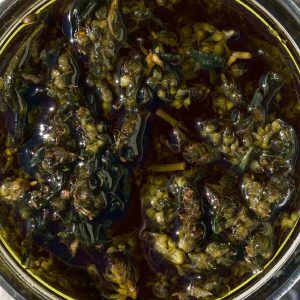 Instead of trashing buds infested with powdery mildew or gray mold, place them in alcohol to make alcohol extracts such as Green Dragon tincture. Outdoor cannabis cultivation has many benefits, but crop safety isn’t one of them. 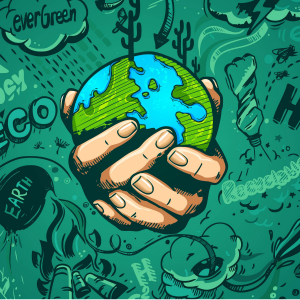 The sun, rain, wind, space, CO2 and root zone you get free when you’re growing cannabis outside are accompanied by risks caused by human intruders, herbivores, insect and mollusk attackers, harsh weather, and molds and mildews. If you decide to grow outdoors anyway, you now have the tools in your arsenal that will give you the best chance of protecting your valuable cash crop. 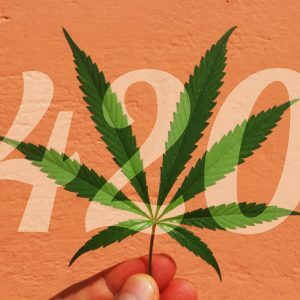 Personal Effects: Do Terpenes And Cannabinoids Need To Come From Cannabis To Work Best On People?